Oh how I have fallen victim to this one! Thanks to the ever-growing ease of seeing how ‘amazing’ someone else’s life is via Facebook, Instagram etc, it is only natural that people begin to compare their life to others. Many of my friends are getting married, engaged, buying houses and progressing fast in their career. I used to think that there was something wrong with me because I wasn’t doing any of these things, which definitely had a negative impact on how I thought about myself. But now I realise that I’m just taking a different path. I have experienced a different life to others – I have travelled alone for five months. I have experimented with different careers. I have learnt to be self-sufficient. 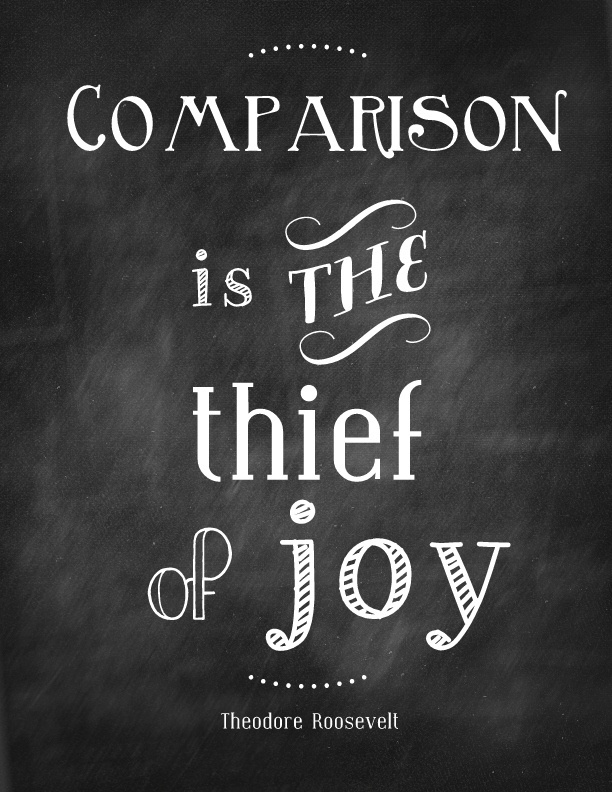 So there you have it, don’t let comparison take away the joy from life. If we all took the same path and paused at the same time, life would be very boring!